The negotiations of the Greek government with the Troika have shown that our ‘shared European home’ was built over financial quicksands. Yet, by 2015 it should come as no surprise that ECB, Eurogroup, and IMF readily risk a humanitarian crisis, a rise of disease, violence, hunger, and death of thousands in Greece and Europe. Syriza’s government has made unique, colossal effort to cut a deal that saves not the banks, but poor citizens. Sadly, growing concessions and emphasis on the negotiations have happened amidst a shortage of publicly stated nationally or regionally viable economic alternatives. The mandate given to Syriza was hardly that of Grexit, but a referendum held six months on is at best a quixotic attempt at democracy. What is more, it offers a choices and realities that very much remind of another part of the European periphery that, ironically, most strongly holds the dream of a united Europe: post-socialist Eastern Europe. Over the last 25 years, most of the post-socialist countries and more recently Ukraine have come to make a choice between a EU accession route on a disastrous set of Troika-imposed austerity measures, and a lack of clearly laid-out and nationally consensual plan B. This peculiar parallel brings to light one of the many weaknesses of the organized Left in Europe. 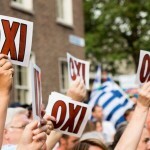 While the negotiations between Greece and the Troika have absorbed all emotional energy and international action in 2015, no similar activity was to be found in post-socialist countries when they suffered similar recession in the 2000s. The current focus on one single country threatens to reproduce the core-periphery dynamic in a dangerous way. International solidarity is crucial at present, but the current situation perversely shows that such solidarities with the poor are only reinforced when the presence of a strong Left-wing ally on the ground is a fact. 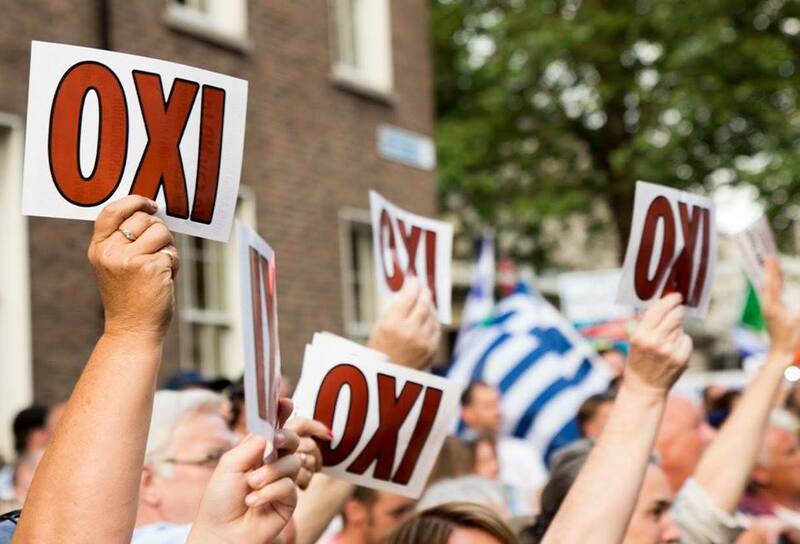 The current focus on and sympathy with Greece makes one wonder where similar abundance of solidarity was to be found in thicker times for Europe when the post-socialist world was richly flooded by right-wing soft- and hard-powers. The question is all but irrelevant now. The situation of the Greek government and people is not independent of its regional context, which compromises the possibilities for alternative solutions. One can easily see, for instance, Bulgaria’s right wing government blocking support and facilitating regime change in Greece. It can achieve that with the same lack of organized resistance with which up to 3 of its 8 million people were pushed into mass labor migration after IMF’s monetary board (1997) that prescribed draconic privatization and austerity to “solve” the post-socialist recession. Two articles by the New York Times pitting Bulgaria against Greece over the last week, quoted Prime Minister Boyko Borissov, his puppet President, and a few conveniently right-wing financial experts, unanimously condemning Greece. Borissov – who returned to power despite the electricity price hikes of his government that resulted in fifteen self-immolations, unrecorded deaths by freezing, starvation, and suicide – proudly says his country follows financial discipline, unlike Greece. Since 2008 the media in the country has aggressively and arrogantly campaigned against ‘the lazy Greeks’: despite the fact that about 300 000 Bulgarians live in Greece and are dependent on income; despite the fact that Bulgaria gains more in migrant revenue than in foreign direct investment; despite the fact that key banks in Bulgaria are Greek. And while a humanitarian crisis in Greece would most probably first hit its Northern neighbors Albania, Macedonia, and Bulgaria, the Bulgarian media have mostly pathetically recounted Junker’s “sense of betrayal”, the pro-EU protests in Greece, and compared Greek pensions to Bulgarian. It is not Syriza’s responsibility that it has been surrounded by puppet-states. Yet, the Greek and international Left have an urgent responsibility to create transversal solidarities in all contexts suffering recession and impoverishment, even where no strong Left-wing ally is easily recognizable. More efforts are urgently needed to nurture transformative relations and translate historical divergences into actions of solidarity for all countries in periphery of Europe hit by the recession. Letting go of Cold War references, and working on trans-border solidarities is crucial in a region that at present brings the biggest promise but also the biggest danger for the future of the continent. 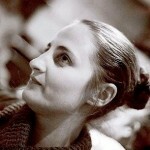 Mariya Ivancheva is a Bulgarian sociologist and anthropologist currently based in Dublin. She has published on issues of the past and present of socialism in Eastern Europe and Venezuela, with specific focus on higher education and the role of intellectuals in social movements and processes of social change. Mariya is a member of Attac Ireland and the Greek Solidarity Committee. She is also part of the editorial board of the Eastern European platform LeftEast.